Prized Plume is a funny bird. So, I definitely wore it over Savage in a layering last week, and it's blue side came out to play. But today, I'm wearing it all by it's lonesome, and Prized Plume is definitely leaning more towards teal. 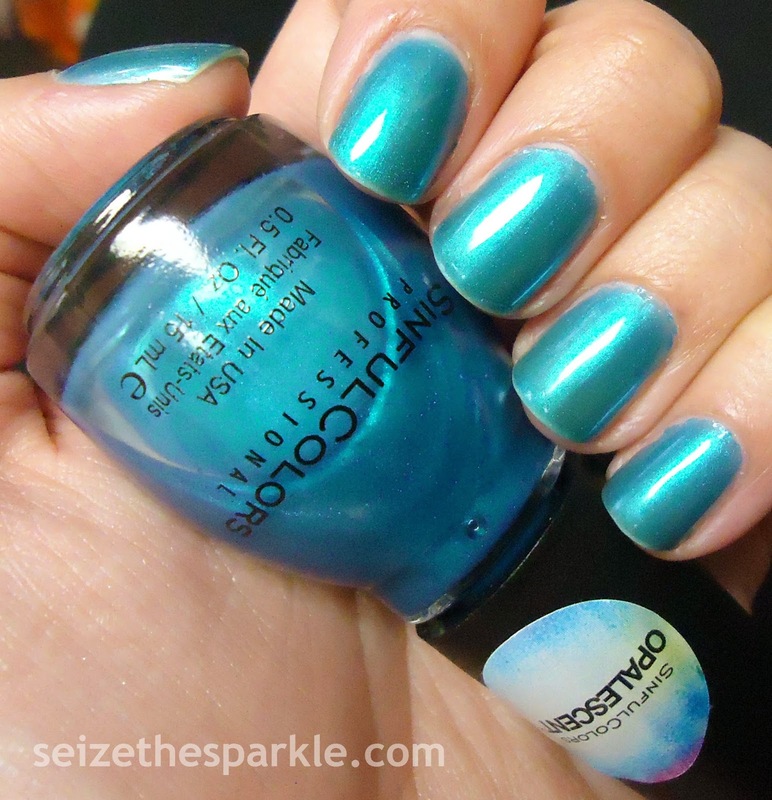 SinfulColors calls it an "iridescent peacock-feather blue." The shimmer inside this is definitely bright cornflower blue. 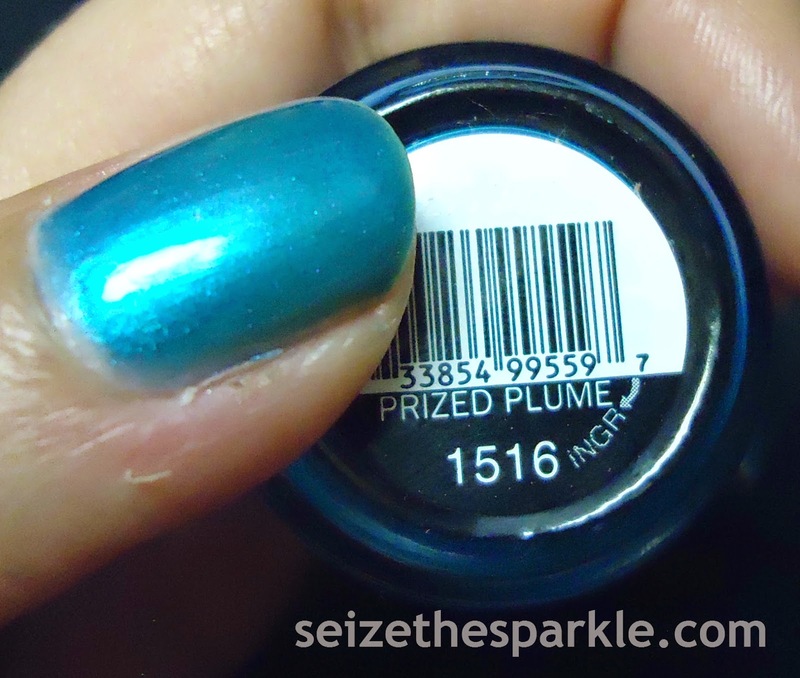 Pack that into a teal leaning peacock blue jelly, and voila... you've got Prized Plume! Prized Plume is part of SinfulColors Spring Fever Flight Patterns Collection. You can find it on display at Walgreens, Rite-Aid, and other mass retailers for $1.99 a bottle! The full Spring Fever Collection also contains Cloud 9, Cream Pink, Energetic Red, Feel The Vibe, Flight To See, Flower Power, Gold Medal, Horizon Shine, Innocent, Let's Meet, Let's Talk, Nail Junkie, Navy I Do, Petal Be The Day, Ring The Belini, Sail La Vie, Savage, Sheer Flight, Standing Bloom Only, Tempest, Thimbleberry, Why Not, and Zest of Times. Follow SinfulColors on Facebook, Instagram, and Twitter!